CardMonkey's Paper Jungle: My first KDS Card Class is This Week! 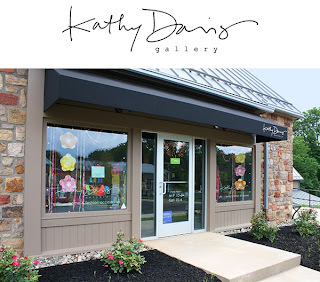 I have had a joyous summer dreaming up classes and cards to teach at the invitation of Kathy Davis Studios in Horsham. Now, those classes are reality ... the first of the series of four begins this week, on Thursday, August 8 from 6 to 8:30 p.m. 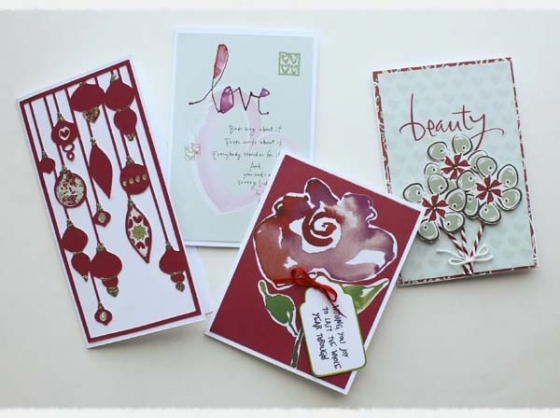 The first of the classes features the basics of card making. We'll be using Kathy's beautiful "Ambrosia" line of papers to get a jump on our Christmas cards, including those shown here. And of course -- why wait until Christmas to send a few of these? The "love" and "beauty" cards can be sent the whole year through. for taking these pretty pictures of the cards I've made for the class. To enroll in the class, you may contact me via my blog (comment below) or via e-mail to cardmonkey@comcast.net. 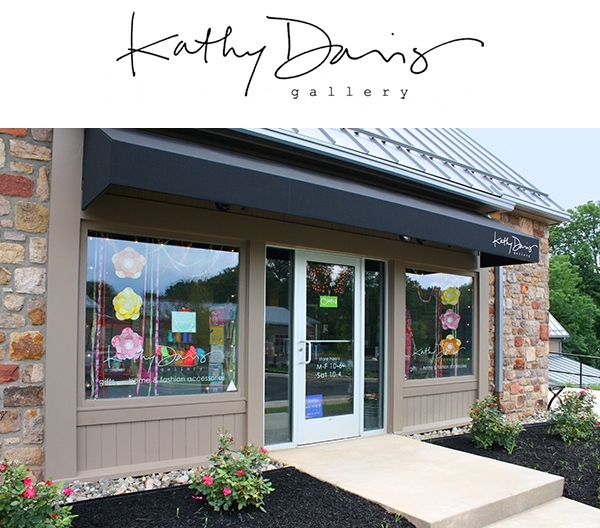 Or, go right to Kathy Davis Studios' website (click HERE) for the Registration Form and for more information. I hope to see you there! Thursday, August 15 - 6 to 8:30 p.m.
Thursday, August 22 - 6 to 8:30 p.m. I am sooooo excited for you! I hope you have a great time - the cards are beautiful! I think I should move closer to you. I want to attend a couple of these.